Raised and trained as a warrior-chief under the feudal political system of the time, Kamehameha’s greatest achievement was the unification of the Hawaiian Islands into a single kingdom in 1795. Loyal to the ways of his ancestors, he ruled as a just law giver and served as a role model by example, such as by laboring in the taro patches. 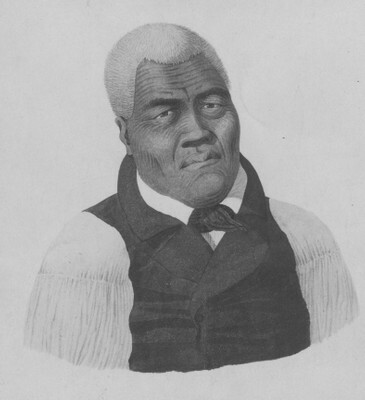 Although he had many children from various unions for political and other purposes, his successors were his children from his sacred wife: KeōpūolaniLiholiho, Kauikeaouli and Nāhi‘ena‘ena.